So no one told life was gonna be this way? Nope, us neither. Especially when we learned that Friends was finally set to come to an end back in 2004. The show first aired nearly 25 years ago but we still can’t help but scream “PIVOT!” and dream of the Joey special whenever we get the chance. So if you’re heading to New York, don’t forget to add these Friends spots to your itinerary. There is no better place to start than at the beginning is there? So here we are. The opening credits would be nothing without that iconic fountain scene that made so many of us want to grab our friends and get dancing. But don’t hold your breath. The actual fountain they used is in a studio in California. 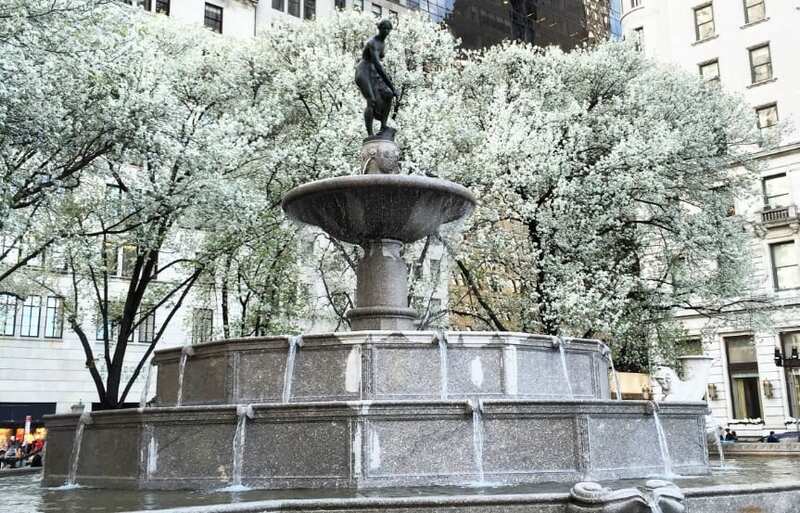 However, it was designed off this very fountain. Move out kiddos – we’re coming for our turn, and you’re in the splash zone. This hotel must be one of the most famous buildings in the world thanks to its many movie and TV show appearances. However, we aren’t here to talk about the contenders; we want the main man. The Plaza Hotel is where Chandler and Monica toast to their engagement, so why not take a visit to the very walls where the famous scenes were shot? If you really want to push the boat out, you could even book a night or two to take in the atmosphere fully. Although the actual filming inside may have taken place on the other side of the country, the apartment building was shot loud and proud in New York. Now you too can take in the sights as you track down the very apartment building that made it all happen. Thankfully, the neighbors are all fully dressed meaning you can take in the view in peace. After all, you couldn’t go to New York and not see the Friends apartment, could you? Surely Friends must have used a real museum for Ross? Nope, you’re out of luck again. 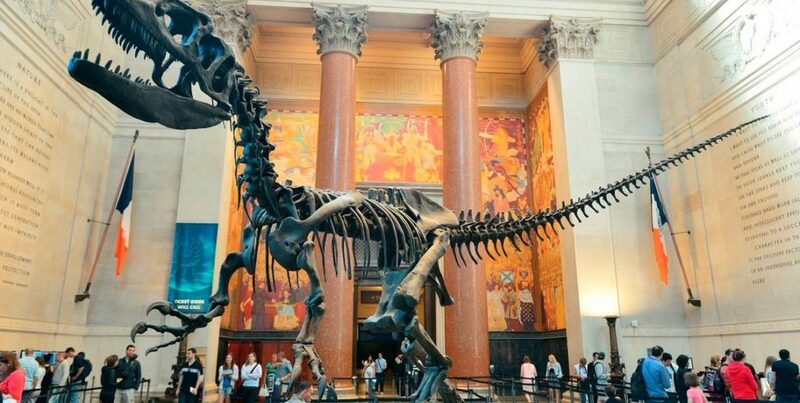 Although the New York Museum of Prehistoric History may not exist, there is the perfect replacement when it comes to getting all your dino needs. The museum has a huge prehistoric section on offer, and you can enjoy it all in peace and quiet without the deafening screams of a moist maker in the background. Perfect. Sadly, beneath the apartment blocks lays a restaurant. And the commemorative Central Perk that popped up for the show’s 20th anniversary has since disappeared. However, New Yorkers are known for their love of coffee, and there are so many coffee shops on offer all around the city. Why not spice it up and take one to go so you can enjoy the views of Central Park with your beverage? This way you can have the best of both worlds. We can almost taste it now! Friends has been, always was, and always will be one of the best shows in existence. Period. And as much as they try and tell us it’s over, we will keep bringing the legendary show back to life! So next time you take a trip to the Big Apple don’t forget all these awesome spots for any Friends lovers out there.